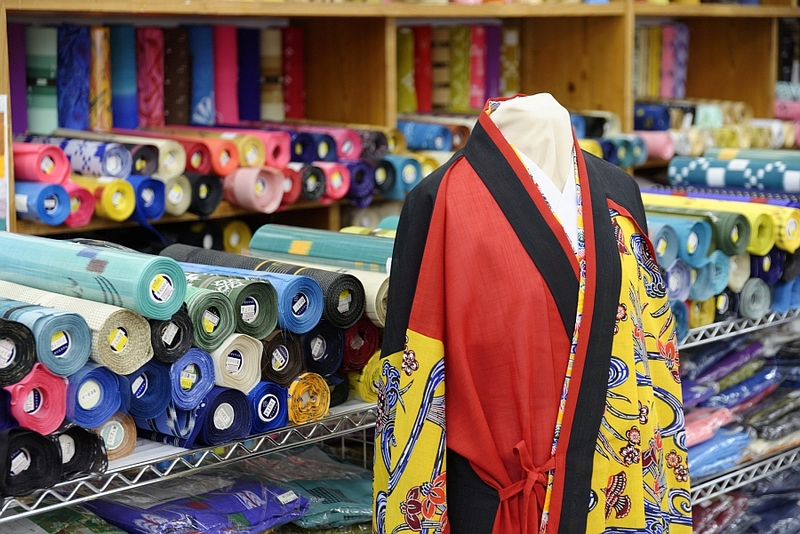 customers have the unique opportunity to see crafstmen as they apply their craft. 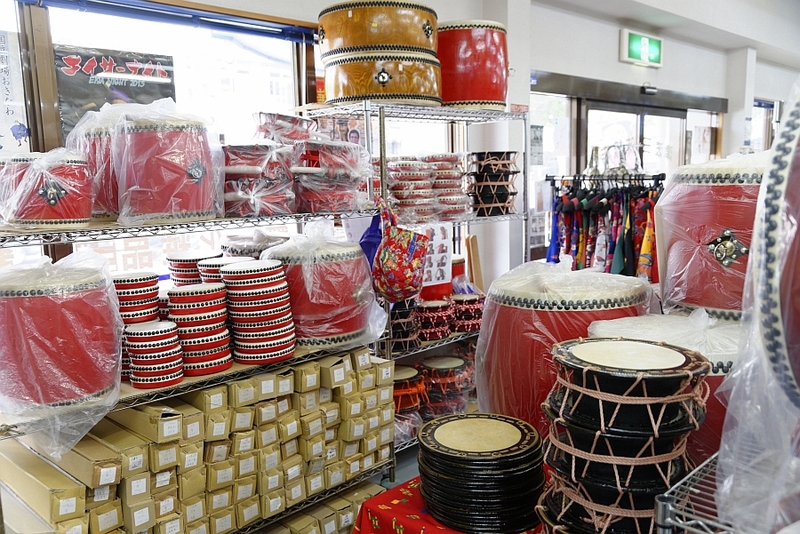 along with kankara Sanshin perfect for souviners and a bounty of other colourful instruments and tools. There’s so much to see and do just by walking around the store. 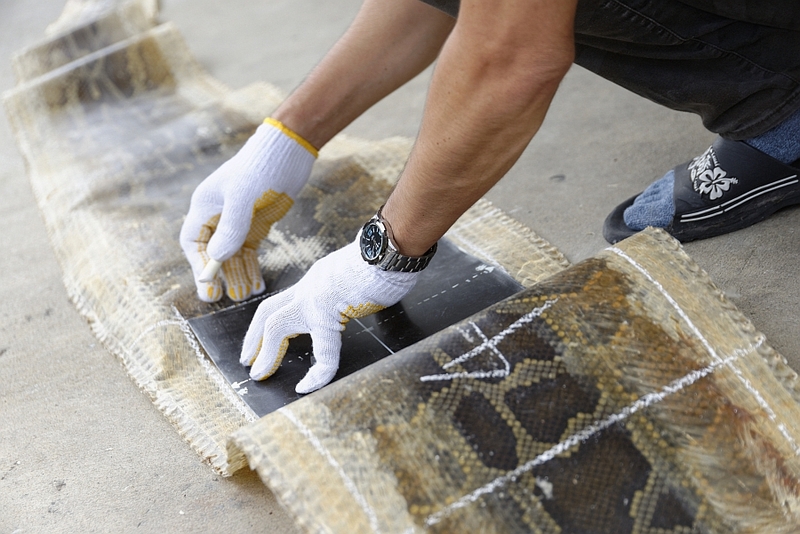 that would become the material for the shamisen on the day we visited. 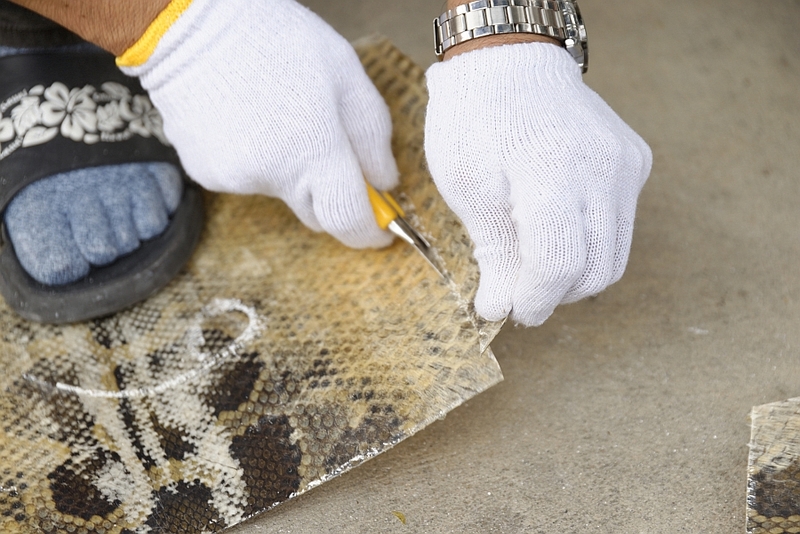 The snake skin was from an Indian Python around 5 to 6 metres in length. 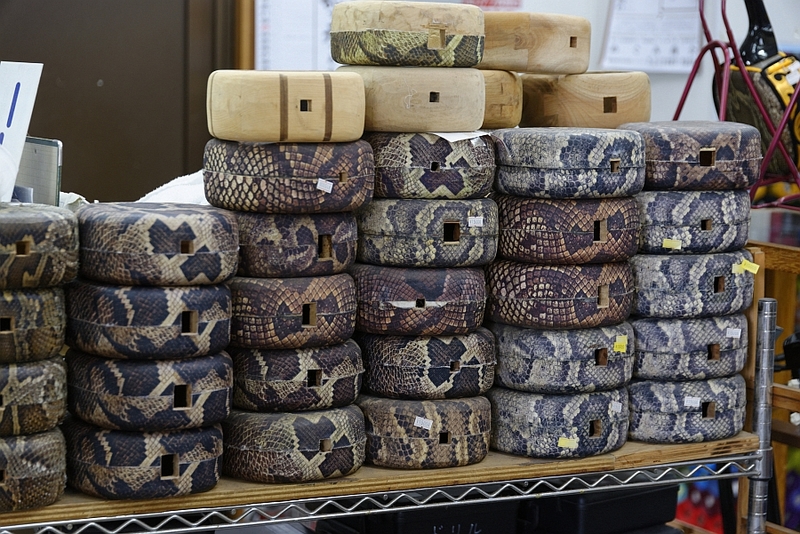 Most of the snake skin is imported from Vietnam, and the skin from one snake is enough to make four to five shamisen. which tends to have a better pattern and make for a better sound. they’re soaked in water until soft then stretched to cover the Shamisen form. A rod is then added to the shamisen body, and its angle is adjusted. Even the slightest misplacement will ruin the instrument’s sound. 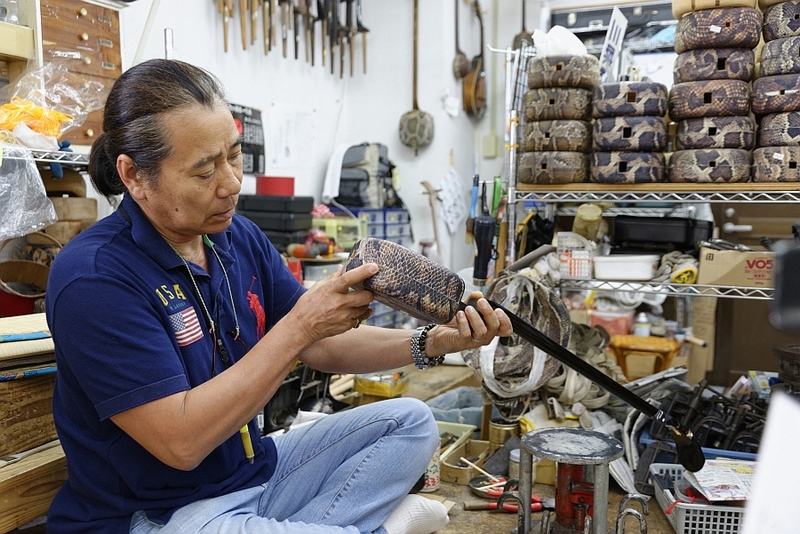 These artisans’ careful and delicate process creates some of the world’s finest sounding shamisen. 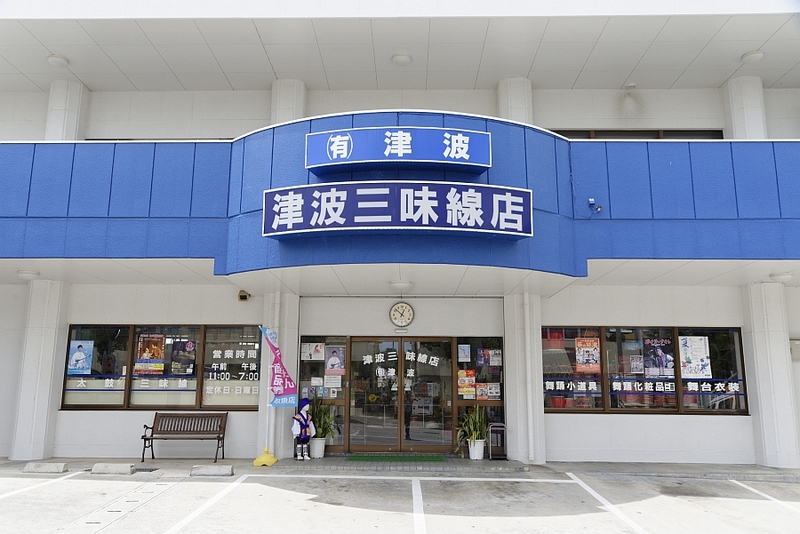 and to educate people about the traditional Okinawan performing arts. The shop front is lined with Shamisens. and the shop receives customers from all ages, and even orders from out of province and abroad. 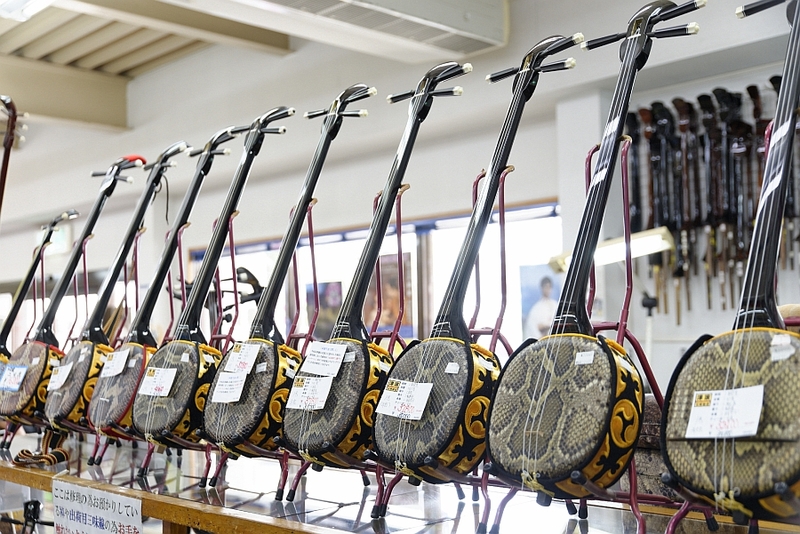 Thanks to Tsuha Shamisen, this ancient art will continue to be passed from generation to generation. 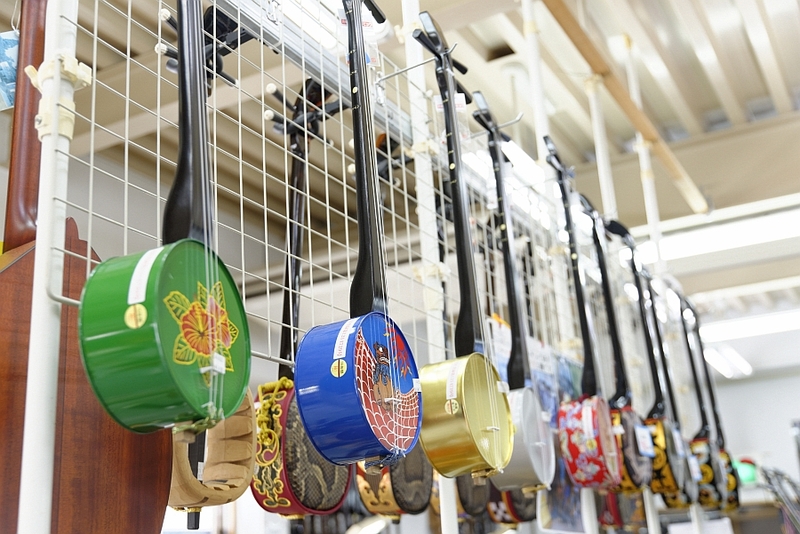 Take a trip to “Tsuha Shamisen Shop” and enjoy Okinawa’s unique art culture.